Click here for the news archives. You can receive the news via RSS by clicking on the RSS box above. You also can receive a weekly e-mail with links to this page by subscribing to the News Feed. Chocolate Milk Now A Sports Drink. According to the August issue of Dairy Foods magazine, a study of nine endurance cyclists at Indiana University found that chocolate milk is superior to carbohydrate-replacement drinks, and equal to the fluid-replacement drinks favored by athletes after a game, race, competition or work-out. After drinking chocolate milk, the cyclists were able to work out longer and retain more power for a second workout. Evidently, there’s something about the carbs and protein in lowfat chocolate milk that helps the muscles recover and refuel. Peanut Butter With 75% Less Fat. If you love PB but not the fat and calories, Bell Plantation in Tifton, Georgia has created a product that might become your PB savior. 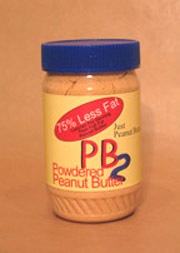 They’ve extracted 75% of the oil and fat from roasted peanuts and grinded them to a peanut powdered named PB2, which smells as good as peanut butter (and can be used as a topping on ice cream, yogurt, cocoa, in smoothies, recipes, etc.). When you mix it with water, it turns into low-calorie, low-fat peanut butter: two tablespoons has just 54 calories, less than 3 grams of fat and only 1 gram of simple sugar (regular PB has 190 calories and 16 grams of fat). That’s 75% less fat, fewer total calories and fewer carbohydrates per serving. A sugar-free, salt-free version is in the works. The powder maintains the same excellent source of protein. Bubbly Wallaby Hops Into Town. [yellow tail], America’s number one imported wine*, has just launched [yellow tail] Sparkling White Wine. For a $10.99 (Suggested Retail) bottle of bubbly, we really like it—and unlike more tony sparklers, your Labor Day guests will appreciate sharing a chilled glass or two with the friendly Australian wallaby. (This yellow tail is not the fish many of us enjoy at sushi bars, but the yellow-footed rock wallaby, a small breed of kangaroo that roam the vineyards of Casella Wines, makers of [yellow tail]. In terms of why the name of the wine is in brackets...we’ll have to ask). The flavors sparkle at the dinner table, but the packaging and the vibrant fruitiness work well with more casual al fresco fare. [yellow tail] Sparkling Wine is a blend of 72% Semillon plus Traminer, Viognier and Trebbiano. Very different in style from the toasty, yeasty sparklers from the Champagne region of France or the leaner Cavas from Spain, the sparkling wallaby is bursting with Muscat-like aromas, and a crisp, fresh palate of tropical with a medium sweetness (within the dry sparkling wine category—it’s not a demi-sec). For $10.99, there’s no reason to reserve this bottle for special occasions: We’ve been drinking it daily with everything from gourmet sandwiches to roast chicken to seafood to yesterday’s lunch of potato pancakes with salmon caviar. (“You like me, you really like me,” says the wallaby.) [yellow tail] wines are sold nationally; the Sparkling White Wine will be available as of September 1. For more information, visit YellowTailWineUSA.com. *SOURCE: AC Nielsen, 52 weeks ending June 2, 2007. Cowgirl Creamery. 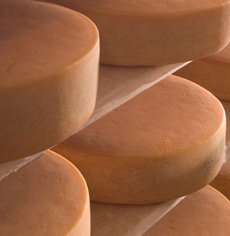 Ever wonder why some of your cheeses aren’t always available? Some artisanal cheeses are as seasonal as fruit. That’s the case with Cowgirl Creamery’s St. Pat, a seasonal springtime cheese that’s wrapped with stinging nettle leaves that impart a smoky, artichoke flavor to the cheese. When nettle season is over, as it is now, there’s no more St. Pat. But on Labor Day, the first batch of herb-encrusted Pierce Point will be released. A creamy, semi-firm cheese that’s washed in muscato wine and rolled in dried herbs from the Tomales Bay coastal region, it’s made only in the fall and winter. 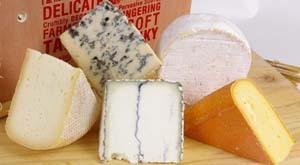 Look for it fine cheese stores and online at CowgirlCreamery.com. If you like full-flavored cheeses, read the review of our favorite Cowgirl Creamery cheese, Red Hawk, a triple-cream, washed-rind beauty that was a NIBBLE Top Pick Of The Week. Boy Meets Grill Sauce. Admirers of chef Bobby Flay (and we know there are many) can now grill along with the boy and his two new lines of southwestern sauces and rubs. The Mesa Grill Collection (named after his flagship restaurant) includes Barbecue Sauce, Hot Sauce, Habañero Mango Hot Sauce, Jalapeño Hot Sauce, Steak Sauce and 16 Spice Poultry Rub (we’ve enjoyed the 16 spice chicken at Mesa Grill). The Bobby Flay Signature Collection launches with Steak Rub and Steak Sauce. Prices range from $6.00 to $10.00. Products can be purchased at his restaurants or at BobbyFlay.com. Rub 16 Spice Poultry Rub generously on chicken, turkey or fish before cooking, and your food will taste just like Bobby Flay’s. Grandma Knows Best. 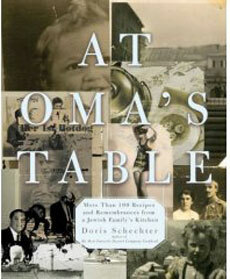 Starting August 28, pick up a copy of At Oma’s Table by Doris Schechter, owner of My Most Favorite Foods restaurant in Manhattan. Not only does the book offer more than 100 mouth-watering recipes, but it delves into three generations of Jewish family history. Before each recipe, Schechter intertwines her family stories with recipe advice. For example, above her recipe for challah, a traditional sabbath bread, Schechter writes, “During the week, we had rye bread and black bread. Challah was for Friday. These homemade loaves are perfectly beautiful-looking—and out-of-this-world good. If you like, make two plain loaves and two with raisins, for a little variety.” Like many homemakers of her era, Schechter’s grandmother (Oma) never wrote down a single recipe and Schechter re-created many of Oma’s recipes by memory. THE NIBBLE editors have already sampled her vegetable frittata and cinnamon twists—both of which we look forward to having again! Are You The Next Chocolate Idol? The Chocolate Bar at the Langham Hotel in Boston, which features more than 125 chocolate desserts (every day—can you imagine?—just a few are shown in the photo at left), is looking for one more great dessert. Do you have the winning recipe for a chocolate dessert so good, so special, that it can take its rightful place among the others? If so, submit your entry by midnight, September 22 to ChocolateIdol@LanghamHotels.com, or by mail to Chocolate Idol, Langham Hotel Boston, 250 Franklin Street, Boston, MA 02110. The dessert doesn’t have to be all chocolate, it just needs to include chocolate.The grand prize is a Chocolate Bar VIP pass, allowing you unlimited access to The Langham’s Chocolate Bar for the 2007-2008 season. While that may not sound like a great prize if you don’t live in the Boston area, the bragging rights of being chosen from all the great recipes entered is reward alone. Pastry chef Alejandro Luna will select five semi-finalists, and the winner will be voted upon by the patrons who visit the Chocolate Bar on October 6th. Raw Food Vacation. We love raw food—a health-food trend gone gourmet thanks to Charlie Trotter and Roxanne Klein’s pioneering cookbook, Raw. We eagerly check out every restaurant that serves it. Now, we can have it on vacation, too, at the award-winning Aerie Resort in beautiful Victoria, British Columbia. The resort’s executive chef, Christophe Letard, a raw food convert, serves an elegant, seasonal five-course meal nightly, available with wine pairings. Raw food doesn’t mean grated carrots: It simply means that food has not been heated above 118°F (48°C) so that all of its healthful nutrients are preserved. Raw can be as beautiful presented as any fine cuisine—look at the the stunning dish in the photo. Raw food is excellent for vegans, those who prefer to eat lightly, people with allergies and also for gourmets who are looking for something new and different. Low in carbs and sugar, a raw menu is packed with natural enzymes and vitamins and is reputed to provide optimum nutritional value and health benefits (such as more energy, less disease and a slower aging process). The current menu starts with an amuse bouche of fresh seaweed and daikon rice sushi, followed by an ancient grains and soya bean tartare with wasabi vinaigrette (shown above). Next is a warm asparagus and morel salad with almond coulis, followed by raw black truffle soup splashed with black truffle oil and a palate-cleansing sour cherry and green tea sorbet. The entrée is cashew-crusted tofu accompanied by lemongrass-infused saké marinade soba noodles and coconut curry sauce. Dessert, a chocolate tart dessert with cocoa and maple ganache, completes the dining experience. 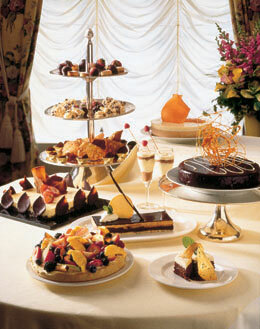 The resort also serves traditional cuisine. For more information or reservations, phone 1.800.518.1933 or visit www.aerie.bc.ca. 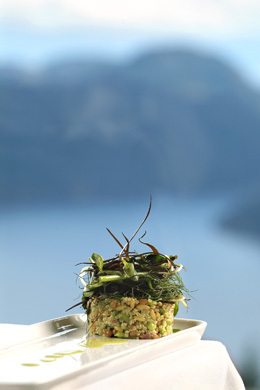 Photo: Dine at Aerie Resort as you overlook the waters of Finlayson Arm, the San Juan Islands and Washington State. What Kind Of Shopper Are You? The Nielsen Company has released a study that examines the purchasing habits of supermarket shoppers. The study found that shoppers usually fit into four categories of food buyers. This study could have impact for how supermarkets choose to (or choose not to) advertise certain products—next time you’re shopping, see if you notice certain “Buzz” foods being advertised more than “Auto-Pilot” products. Shoppers in this grab-and-go mode tend to make choices based on brand and don’t often try new products. Thus, if a well-known brand changes its packaging or flavors, it could have a big impact on its customers. Buzz shoppers are influenced by catchy marketing and advertising campaigns, or packaging that stands out on a shelf. These types of shoppers like to find new tastes or products and are active shelf browsers. They are likely the cook of the household. Money saving is very important to these shoppers, who are driven by price of the items as well as promotions that may be occurring. 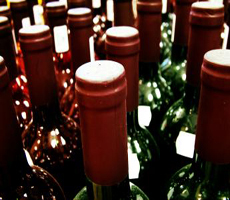 Illinois Cuts Off Consumer Access To Wine. Following Chicago’s decision to deprive consumers of the right to eat foie gras, last week the Illinois Senate voted to strip out-of-state wine retailers of the right to ship wine to Illinois consumers. Is your state next? In an overwhelming 49 to 5 vote, the Illinois General Assembly chose to protect the interests of a small group of powerful, well-moneyed alcohol distributors who didn’t like the idea that out-of-state companies were selling wine to “their” customers, over the interests of Illinois consumers. Wineries across the country, as well as hundreds of e-tailers like Wine.com, will no longer have access to consumers in Illinois—and Illinois consumers will no longer be able to take advantage of lower prices from online distributors, buy limited-production wines from boutique wineries, or enjoy the convenience of buying from out-of-state e-tailers with large selections. Said Tom Wark, Executive Director of the Specialty Wine Retailers Association (SWRA), “It’s shameful that to-date no Illinois legislator has found time to offer any justification for stripping consumers of a right they’ve had for 15 years to purchase wine from out-of-state retailers. We take this reluctance and disregard for their constituents as indication that campaign contributors, not constituents, are the real power in Illinois.” Wark anticipates a lawsuit due to the discriminatory nature of HB 429: While in-state Illinois retailers may ship to Illinois consumers, out-of-state retailers may not. This type of blatant discrimination was found to be unconstitutional in the 2005 Granholm v. Heald Supreme Court decision on wine shipping, which addressed the requirement for evenhandedness between in-state and out-of-state wine shippers, as well as a subsequent Federal court decision in Massachusetts. Consumers: While there are greater problems in the world that what specialty foods you can eat and drink, your rights are being chipped away by special interests. SWRA is a nationwide association of wine retailers; more information can be found at the Specialty Wine Retailers website. Beer’s Still Here. Fortunately, Illinois residents and others can still sample some of the country’s 1,400 craft beers, shipped to them from beer-of-the-month clubs. According to Wine & Spirits Daily, a recent Gallup Poll reported that beer is the beverage of choice among 40% of adults, with wine appealing to 34%. In the 2005 poll, wine had climbed ahead of beer, possibly due to the low-carb craze. But, to the joy of brewers everywhere, beer reclaimed the crown in 2006 and is hanging on. Men and younger adult drinkers prefer beer, while females and older consumers prefer wine. Spirits remain steady at about 23%. The poll also shows that alcohol consumption is on the rise: In 1990, 50% of Americans said they consumed alcohol in the past week; now it’s 65%. September 28 is Drink Beer Day. 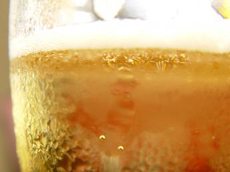 You can plan a party and taste the many different kinds of beer. See our Beer Glossary for ideas. 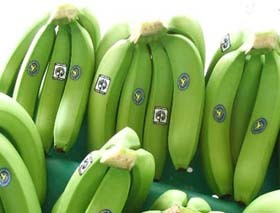 Fair Trade Bananas: Coming Soon To A Store Near You? Recently, Chiquita Brands paid a $25 million fine to the U.S. government after pleading guilty to working with terrorist organizations in Colombia. It shouldn’t take an incident like this to get people to buy Fair Trade fruit, but Co-op America, which aims to create socially just economic policy, seized the opportunity to launch a campaign to encourage more supermarkets to stock Fair Trade bananas. The Fair Trade movement promotes standards for labor, environment and social policy, particularly dealing with exports from developing countries. The overall goal of the movement is to help marginalized workers. Fair Trade ensures that farmers are paid fair value for their products, which affords money for adult (instead of child) labor, sound agricultural practices and a minimum standard of living. Anything from coffee, tea and chocolate to spices and vegetables can carry Fair Trade certification; the certification is overseen by the nonprofit Fairtrade Labelling Organization International (FLO), an umbrella organization that unites labeling initiatives in 21 countries. Fair Trade bananas are not genetically modified and are grown using sustainable farming practices, such as mulching, recycling and safe waste management. Though Fair Trade, tropical fruits have been available in the U.S. since 2004, very few supermarkets carry them (Europe, however, has had Fair Trade fruit available since the mid-1990s). They will be costlier than other bananas because of the fair price paid to farmers, but you can feel very good about the extra few cents you spend. Go to CoopAmerica.org to join the campaign and learn more about Fair Trade. 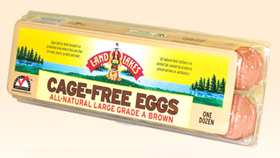 Cage-free does not mean free-range. Free-range means the animal can roam outdoors, where it can peck for insects which enhance the flavor of its meat. Cage-free simply means that the animal is not restricted to a cage—in theory, it gets exercise and lives more humanely, but as you’ll see in a moment, that’s not necessarily so. Similarly, “cage-free” is not synonymous with “organic.” Although organic eggs must come from cage-free birds with access to the outdoors, the birds also must have organic feed, be free of antibiotics and there must be no forced molting. Cage-free hens do not necessarily have a lot of space. The birds can still be cramped in tight quarters on the floor. In essence, “cage-free” hens can be just as cramped as those in battery cages. No government authority inspects and certifies cage-free facilities. To be granted cage-free status, The Food Safety Inspection Service of the Agricultural Department must approve a company’s use of the “cage-free” label. But, the facilities are not required to be inspected. Thus, while many companies will adhere to the letter of the law, others will “interpret” it, as has happened in the organic milk industry. It is well-documented that some of the largest organic milk purveyors do not give their cows daily (or any) pasture time for grazing, which is a requirement for organic certification. There is theoretical “access to pasture”—perhaps if the cow specifically requests it. To get benefits from cage-free eggs, check to see if the hens get a daily diet that includes grass. These hens produce eggs with a higher nutritional value (more omega-3 acids, less fat—often this will be stated on the carton). Call local animal rights groups to find out about the farm that your eggs come from. There’s no use paying more if the hens are treated just as poorly as those in battery cages. Sustainable Seafood Resource. The National Oceanic and Atmospheric Administration has recently started FishWatch, a website that helps consumers understand overfishing. Concerned consumers can learn what types of seafood (and from where) should be purchased, so as to not deplete the fish populations. You can check more than 25 types of seafood to find out the sustainability status, life history, habitat, role in the ecosystem and more, including tips for how to shop for seafood. It’s enough to make anyone seafood-savvy! FishWatch is a great complement to Seafood WATCH, which is operated by the Monterey Bay Aquarium. FishWatch has more detailed information about individual fish, while Seafood WATCH has a more comprehensive list of seafood and a printable pocket guide. Photo courtesy Stock Exchange. Hazelnut Praline Lovers Rejoice. 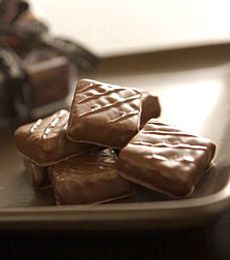 Master chocolatier Michael Recchiuti offers the ephemeral delight of Hazelnut Praline Squares, a creamy, crunchy blend of gianduja and crispy praline flakes drenched in rich milk chocolate. But the clock is ticking: They’re available through August 31 only. The summer’s almost over, you don’t have to look good in that bathing suit much longer: Indulge! Eight pieces for $18. Murray’s Cheese Offers ACS Award-Winners. Make your next cheese plate a gold-medal winner. Murray’s Cheese has put together a gift-boxed selection from among the winners at the American Cheese Society’s 24th Annual Conference and Competition. You’ll feast on five different styles of cheese, representing cow’s, goat’s and sheep’s milk cheeses. Selections include the bloomy cow’s milk Green Hill from Sweet Grass Dairy; the almost legendary Humboldt Fog from Cypress Grove Chevre (a NIBBLE Top Pick Of The Week); the pungent raw cow’s milk Grayson from Meadow Creek Dairy; Bellwether Farm’s San Andreas (the farm rests on an earthquake fault line—get it? ), a raw sheep’s milk cheese in the style of a Tuscan Pecorino, that was voted faultless by the ACS judges; and perennial winner Bayley Hazen Blue, one of America’s favorite blue cheeses, a uniquely crumbly yet dry raw cow’s milk cheese from Jasper Hill Farm. With cheeses like this, bread and crackers are superfluous—just bring a fork! Boxed in a charming wood crate, with straw, for $75.00. At MurraysCheese.com. Eating fresh fruit with each meal helps the digestive process. Bell peppers may have a protective effect against cataracts. 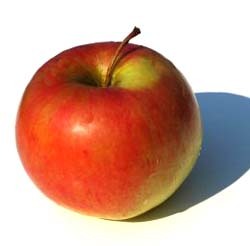 Eating one large apple a day can lower serum cholesterol by up to 11%. 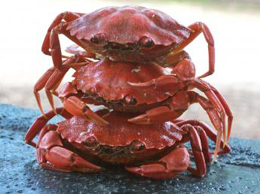 Adding fish, shellfish, flaxseeds or walnuts to one meal each day provides anti-inflammatory protection. 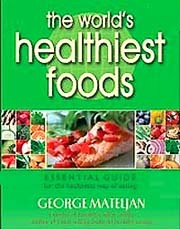 Whole foods high in fiber, such as beans and legumes, digest so slowly that many people eat them as natural appetite suppressant. Three cups of green tea daily can reduce body weight and waist circumference by 5% in three months. Don’t soak produce in water: It leaches out water soluble vitamins. Don’t sauté with olive oil; add it to sauces and foods after they’re cooked to retain the flavor and nutrients in the oil. Cut back on refined sugars: They can lead to reduced immune system function. Similarly, refined grains can lead to blood sugar elevations. The Best Cheeses In America. You’ll have to wait until next month to meet the new Miss America, but a nine-pound wheel of Aged Raclette from Leelanau Cheese Company of Suttons Bay, Michigan (shown at right), beat more than 1,200 dairy queens to take the “Best of Show” award at the 24th annual American Cheese Society (ACS) cheese competition. John and Anne Hoyt, proprietors and cheesemakers, make Aged Raclette (aged nine months) with pasteurized milk from just one farm, located on Michigan’s northern lower peninsula. New this year, awards were given for first and second runner-up for Best of Show. Beecher’s Handmade Cheese of Seattle took the first runner-up spot with their Flagship Reserve, while Roth Käse USA of Monroe, Wisconsin won second runner-up honors for their Roth’s Private Reserve. More than 200 cheese companies entered more than 1,000 cheeses, a 27% increase over last year, and the largest cheese competition in American history. Many other awards were given—read the highlights in our full article about the 2007 ACS Show. Third Annual Mac & Cheese Contest. Get out your graters! If you like your cheese with macaroni, you can enter your recipe in the third annual Tillamook Macaroni and Cheese Recipe Contest and will compete for the chance to win $1,000 cash in your regional competition and $5,000 cash in the grand finale cook-off. Regional locations include Chicago, Denver, Portland, San Antonio, San Francisco and Seattle, with the grand finale cook-off in Portland in December. For contest information, visit TillamookContest.com. 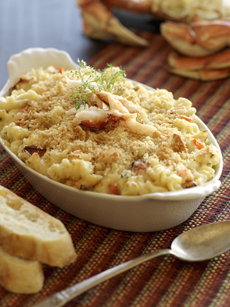 See some of the delicious mac and cheese recipes from prior years’ contests. Got Beer? If you head to Denver in October, the craft beer supply will make the cheese festival look paltry. The 26th annual Great American Beer Festival, October 11 to October 13, is the country’s largest ticketed beer festival and the premiere competition for commercial beers. Last year, more than 450 breweries participated, with 2,410 beers competing and more than 1,650 beers available for sampling. In case you don’t like crowds, be aware that 41,000 beer lovers attended last year. Just under 1,400 of the country’s 1,440 breweries are craft brewers, the handful of large brewers such as Anheuser-Busch and Coors produce the majority of beer and control many of the imports. If only the beer folk and the cheese folk could get together, what a party it would be! For more information on the beer festival, visit Beertown.org. Olive Oil Fraud. For years, it’s been no secret that there’s fraud throughout the olive oil industry: Products that aren’t extra virgin are sold as such, and sellers color their oil the desired green color to make it look like it comes from a better olive. Now, an August 13 story in The New Yorker reports that the agricultural ministry, backed by the police force, is fighting to curtail the fraud in Italy, the world’s largest importer, processor and consumer of olive oil (Italy is the second largest producer of olive oil—Spain is numero uno). 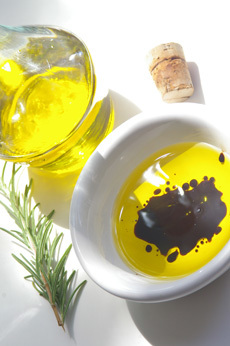 In 2005, the Italian government confiscated about 26,000 gallons of fake olive oil, worth about eight million dollars. A criminal ring in Italy had allegedly colored canola oil with chlorophyll added flavoring and sold it in northern Italy and Germany. In April, 757 olive oil producers were found guilty of adulterating and falsely labeling their olive oil. While Italy has nine official panels of tasters who judge olive oil, they rarely test it before it is on the market. Furthermore, says The New Yorker article, producers often successfully appeal the the panels’ decisions by saying the samples were incorrectly stored, or go to another panel for a more favorable judgment. Extra virgin olive oil, which generally is not more than 10% of the olive oil produced by any given country, can be defined by chemical tests, and is defined officially by its low acidity (oleic acid) levels of not more than 0.8%; but only humans can test to ensure that it does not include the 16 official taste flaws, like “cucumber,” “grubby” and “musty.” See our olive oil flavor chart for the comprehensive list of both good and bad flavors of olive oil. Chocolate Goes Green. No, it’s not St. Patrick’s Day: Green-e certification means that a company has met standards for energy sustainability practices by reducing its carbon emissions. Terra Nostra Organic, producers of a line of chocolate bars that are Fair Trade Certified, certified kosher and include vegan versions made with rice milk, is now Green-e certified for its U.S.-manufactured, bars and is using energy efficient plants in Switzerland to produce its non-dairy Ricemilk Choco bars. Green-e is the leading U.S. green energy third party-certifier. Terra Nostra Organic offsets 100% of its carbon emissions of all its bars manufactured in the U.S. by purchasing wind power credits (RECs) through Clean and Green. The RECs are bought directly from community-based wind farms, allowing the profits to be maintained and re-invested to build more infrastructures that increment the production of renewable green energy. All 248,000 kilowatt-hour of Terra Nostra’s annual usage is the equivalent of taking 512,145 pounds of carbon dioxide out of the environment. In the Swiss plants, a process known as Heat Exchange, where the heat is transferred to cold and vice-versa, has an energy efficiency of up to 82%! According to Terra Nostra’s Founder and President, Karlo Flores, chocolate doesn’t have to induce guilt. When you eat Terra Nostra chocolate, you know that you’re helping the planet, one chocolate bar at a time. 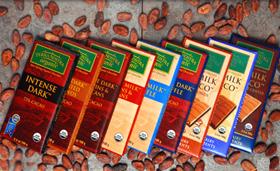 Terra Nostra chocolate bars will be reviewed in a fall issue of THE NIBBLE. Okra Pickles. Rick’s Picks, makers of our favorite gourmet pickles, has introduced Smokra, pickled okra, to its line—and it is a revelation in pickles. We loved it when we first tasted it in January—long before it won Best Appetizer at the July Fancy Food Show. Bathed in a smoked paprika brine, Smokra presents okra in a way most people have never envisioned the vegetable—usually dissed for being mushy. This crisp, smoky okra pickle is divine, will make converts of people who would never touch cooked okra. (Note to okra-phobes: If you think you don’t like okra, try it at an Indian restaurant. You just might discover a new favorite vegetable.) As a garnish, Smokra will transform anything from a sandwich or burger to a martini. Serve it in a relish tray, and the rest of the dinner will have a lot to live up to! Smokra is at RicksPicksNYC.com with a limit of two jars per customer ($12.99/jar). 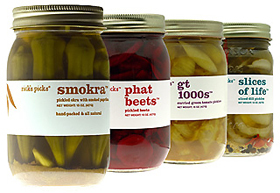 It’s also part of the Smokra Gift Pack, which includes one jar each of Smokra, Phat Beets, GT 1000s (curried green tomato pickles) and Slices of Life pickles, hand-written gift card included. A perfect gift for anyone who’d rather have savory than sweet. Read our full review of Rick's Picks pickles and pickled vegetables. Todd Oldham Designer Sandwich Bags. Mobi, the makers of sandwich bags (think a trendy version of Ziploc bags) with funky designs like “Retro Bunny” and a giant cupcake, has teamed with superstar designer Todd Oldham to create a new line of bags, with a portion of the proceeds going to the Natural Resources Defense Council. By 2008, Mobi hopes to use a plastic that decomposes within one to three years. According to the company, the bags are currently both reusable and recyclable and all ink is made with vegetable dye. See Mobi-Usa.com for more information. 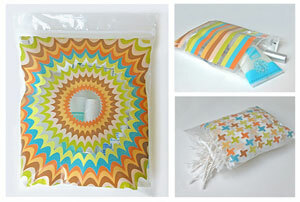 Each pack of 20 bags is $4.99; we recommend them for goodie bags. Photo courtesy elsewheres.com. How Hot Is It? Rossi Pasta’s new flavors—Zucchini Linguini, Southwestern Chipotle Fettuccini and Shiitake Fettuccini—are on the cusp of culinary fashion. But the chipotle pasta can steam things up on the plate as well. It has just the right amount of heat to titillate without needing a fire extinguisher. We suggest it as a base for chicken or shrimp...or a cool cream sauce. Wanted: Fresh Fruit & Vegetables. We know from some surveys that Americans aren’t eating their 5-A-Day servings of fruit and vegetables. Perhaps a newly-released survey of more than 1,000 shoppers gives some insight as to why. Only one quarter of respondents were “satisfied” with the taste of their fruits and vegetables, while almost 40% of consumers were “less than satisfied” with the freshness, taste and ripeness of their produce. When given the choice, shoppers have it right: They’d prefer a more flavorful product over year-round availability. That’s good news for the “eat local” movement: Take a flavorful, local tomato or berry over a tasteless import any day. But will consumers pay for it? The Produce Marketing Association reports that 69% of consumers are willing to pay a little more to get better tasting produce and 10% of consumers are willing to pay a lot more. 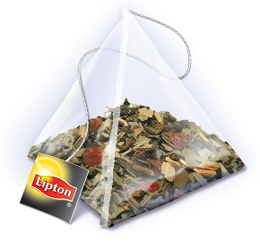 New Lipton Pyramid Tea Flavors. Lipton has has added three new flavors to their Pyramid line: Bedtime Story with chamomile peppermint and spearmint, Tuscan Lemon with marigold leaves and White Tea with Blueberry & Pomegranate. The line debuted last fall with flavors such as Vanilla Caramel Truffle and Bavarian Wild Berry, as Lipton’s bid to capture a portion of the premium tea market, copying the pyramid-shaped, mesh tea bags from gourmet tea manufacturer Tea Forte and mesh bag pioneer Mighty Leaf. At a suggested retail of $3.49 for 18 bags, the teas are still much less expensive than specialty teas and are not of the same quality, but are far more available, at supermarkets nationwide. Harvest Coarse Ground Mustard with whole mustard seeds (try with deviled eggs or potato salad). Hearty Spicy Brown Mustard with finely diced yellow onions (try with baked beans or coleslaw). Savory Honey Mustard with clover honey (try as a dip for veggies or pretzels). They are available nationwide for $2.89. Check out dozens of different types of mustard in our Mustard Glossary. 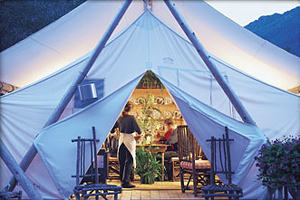 Forget Camping, Go “Glamping.” If you like the idea of camping but don’t actually enjoy the “roughing it” aspect, head to Clayoquot Wilderness Resort on Vancouver Island, British Columbia for some “glamping” (also known as glamour camping—our type of roughing it). You can reach the resort only by plane or boat. The sleeping quarters (white canvas tents) are equipped with Persian rugs and antiques. Sit on the oversized velvet sofa in the 3,000 square foot cookhouse, while Chef Timothy May cooks for you—no roasting weenies over a fire. You’ll dine on local ingredients, which might include blueberry pancakes for breakfast, alder-smoked grilled salmon over wild greens for lunch and four peppercorn-crusted tenderloin medallions with fire-roasted baby corn and sea asparagus soup for dinner. Bring out your inner chef with one-on-one cooking classes on the art of “glamping food.” The all-inclusive resort also offers a range of “glamping” activities such as fishing, whale watching, kayaking, mountain biking and more. Three-day package prices start at $4,750 Canadian dollars, or about $4,450 U.S. dollars. For more information, visit WildRetreat.com. Substitute @ for <at> and use TheNibble.com with no space. We use this convention to avoid address-harvesting spam spiders. Gourmet News & Views is published. Lifestyle Direct Direct, Inc. All rights reserved. Images are the copyright of their respective owners.